For over a century, the Jezzine Barracks protected Townsville from the threat of outside attack. Cannons and guns were placed high atop the promontory, facing out toward the blue horizon ready to put up a fight. 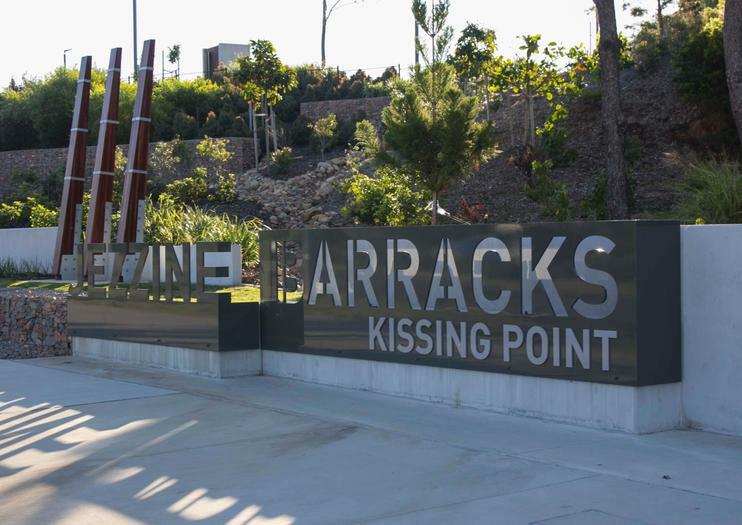 Today, after a massive, modern redevelopment of the aging historical barracks, Jezzine Barracks is a public park that not only honors its military past, but also retains the cultural heritage of its native Aborginal peoples. Located on the western end of Townsville’s popular beachfront Strand, the Jezzine Barracks offer sweeping views of the Rock Pool and Magnetic Island. Weave your way up the walking trail in the hours just before sunset, stopping to admire the sculpture garden and historical military tributes. From atop the large, rocky headland, the entirety of Townsville’s happening shoreline sits directly at your feet, and there’s no better place on Townsville’s coast for enjoying a sunrise or sunset. For a deeper look at the military past, visit the Army Museum of North Queensland that’s located right here at the Barracks, where displays range from the early days of Australia’s original defenses, all the way up to modern conflicts and the men who have protected and served. There is no admission to visit Jezzine Barracks or the Army Museum of North Queensland. The museum is open from 9am-1pm on Wednesday, Friday, and Sunday, and should you choose to walk to the lookout point, be sure to bring water, sun protection, and snacks, since the walk takes longer than it looks. Explore one of Queensland’s most vibrant cities on this 2.5-hour tour of Townsville with pick-up from designated meeting points. Lookout over Cleveland Bay from the Castle Hill viewpoint; walk the beachfront promenade of The Strand; and tour the Jezzine Barracks at Fort Kissing Point, then browse the shops and cafés along Flinders Street. The ideal choice for first-time visitors, this comprehensive small-group tour has a maximum of 12 participants, ensuring personal attention from your guide.